Vienna, the grand city of music, is playing host to the 60th edition of Europe’s premier pop singing event; albeit, Vienna is famous for opera, symphonies and classical music. #12Points is how the city has been rebranding itself for the duration of the Eurovision Song Contest (ESC). The face of the ESC 2015 is Thomas Neuwirth, more commonly known by his Drag Queen persona ‘Conchita Wurst.’ From advertising for bank loans to having a sausage named after her, no one in the past few years has achieved as much popularity after winning the ESC as Conchita. The city entered into a week of celebrations on the Sunday leading up to the finals. The State Opera House (Wiener Staatsoper) organised a special matinee programme, with the overarching theme of ‘Building Bridges,’ wherein it invited ESC participants to share the stage with renowned operatic voices. The event was a huge success, involving the likes of Juan Diego Flores of Peru, Valentina Nafornita of Moldova, Aida Garifullina of Russia, Mario Pecoraro of Austria, who represented the operatic repertoire alongside ESC representatives Boggie of Hungary, Morland and Deborah Scarlet of Norway, John Karayiannis of Cyprus and, of course, Conchita herself. The Austrian Chancellor, the Director of the State Opera, ESC participants and associate staff were all in attendance. That same evening, the official inauguration of the festivities occurred at Eurovision Song Village in the square facing the picturesque Viennese City Hall (Wiener Rathaus), with Conchita beside the Mayor of Vienna, Michael Haeupl, who has spared no expense to showcase the best of Vienna to the world. With excitement and fever abound in the atmosphere, the Viennese and national authorities have organised numerous open air viewing areas. The social statement has been quite hugely successful, with Vienna portraying itself as a liberal city tolerant towards people of all orientations. 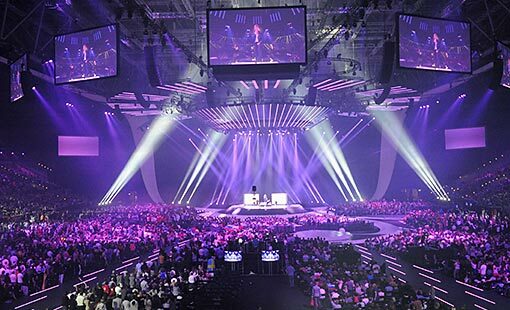 The first semi-final was held on Tuesday, the 19th of May. The event seemed to go on without any upsets, as most of the expected finalists secured their tickets. The Viennese took this as an opportunity to commemorate one of their favourite music legends, Udo Jürgens, the first Austrian winner of the ESC in 1966 with his song ‘Merci, Mon Cherie,’ who passed away in December 2014. He attained popularity after his win and, throughout his lifetime, was a household name in Austria and the German-speaking world. The first challenge to the organisation arose right after the event was completed, when a deluge of rain swept through the area as crowds of people were leaving the venue. The authorities seemed unprepared to cope with the sudden downpour; lots of guests gave the organisers a piece of their mind, some of whom weren’t even able to communicate in basic English. “12 points to Vienna for its organisation,” was among a number of outbursts overheard as people waited in the rain to collect their belongings. It was at least half an hour before the tension diffused, the rain subsided and ponchos were handed out. The second semi-final passed without any major hiccups both inside and outside the Stadthalle. The final on the 23rd of May shall play out to a much larger audience with an expected number of over 200 million viewers- the second largest event, only after the Oscars, in a non-sport category. The next host city of the event has a lot to live up to after Vienna set the bar so high, hosting the event after almost five decades. 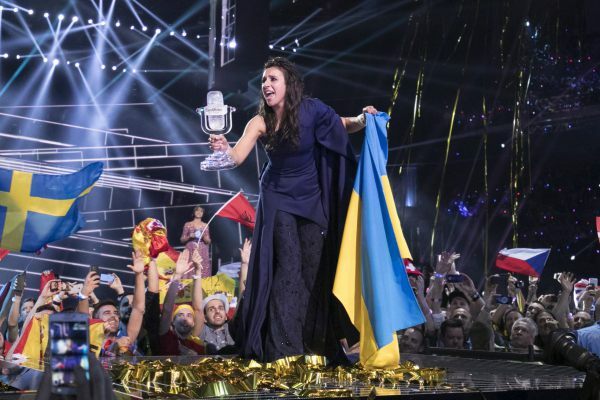 The 2016 Eurovision song contest held in Stockholm, Sweden, on 14 May, was won by the female singer Jamala for Ukraine with the song “1944”, which got the highest score (534 points).